We are often asked what we pack for lunch. 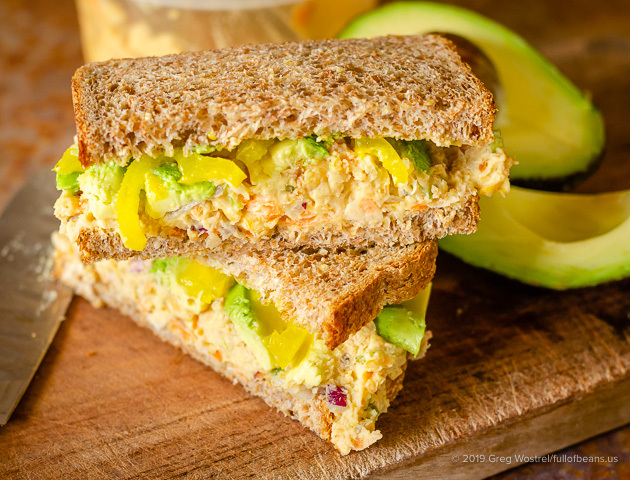 Portable and easy meals, like the classic tuna salad sandwich, are an essential for folks heading off to school or work for the day. This chickpea vegan tuna salad is an easy, satisfying and delicious vegan alternative to the usual non-vegan sandwich fillers. Yummy Vegan Tuna Sandwich, Ready To Eat! Enjoyed by vegans and non-vegans, it is also much more affordable than tuna or chicken salad. A bonus for those “on-the-go” is sandwiches with Better Than Tuna chickpea salad can be unrefrigerated without fears about food born illnesses associated with unrefrigerated meats. Because it has a longer shelf life (in the fridge), it can be available for a weeks worth of lunches if prepared ahead. In our house, it never lasts that long! This vegan tuna salad has been a go-to meal option in the Full of Beans household for quite a while. We have found that it doesn’t need to be restricted to sandwiches! It is wonderful as a topping for a plate of greens, on a rice cake, or straight out of the container with a fork! SO delicious as a salad topping combo. Power Salad! We refer to this recipe as “vegan tuna salad” but we aren’t trying to make a mimic of tunafish salad. Certainly there are ways to accomplish that by adding dulse or playing with the texture of the chickpeas. However, as far as we are concerned this is all around a replacement for the quick and easy, versatile food spot tuna salad occupies for most people. Something for lunches, snacks, on greens etc. Because this is cruelty-free, filled with nutrition, inexpensive, and easily made it is truly Better Than Tuna! We hope that you will agree! Portable and easy meals, like the classic tuna salad sandwich, are an essential. 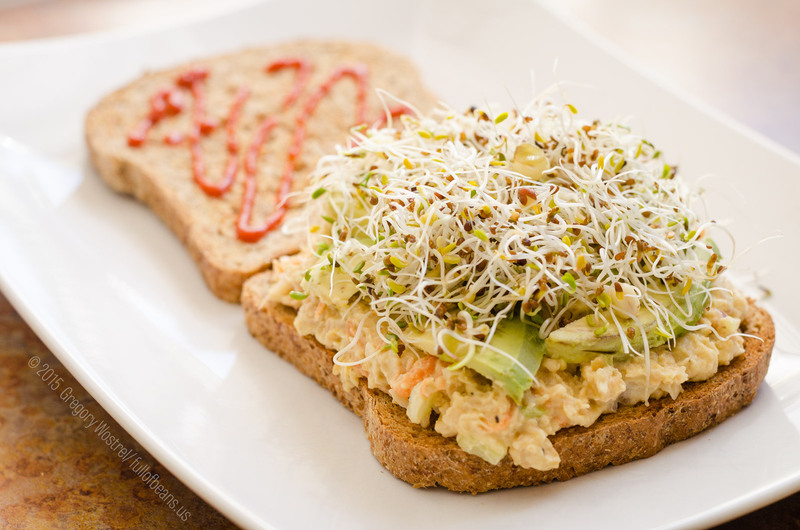 This chickpea vegan tuna salad is a delicious vegan alternative. Try it! Roughly mash the chickpeas in a medium size bowl. I like to leave some chunks of the peas in the mash. It can be eaten right away, but I find that if it sits in the fridge for an hour or so the flavors meld nicely together. This works for a sandwich and is also wonderful on a bed of greens or with crackers. We happen to love adding dill to it, a heaping teaspoon is just about right! This is one of my favorite things. Sometimes I use soaked sunflower seeds if I forgot to soak chickpeas. It boggles my mind how much more I enjoy this even than I did what I thought was my “beloved” tuna! Such a kinder meal! Isn’t it wonderful? We feel exactly the same way about being a “kinder meal”. I was just explaining to a co-worker today about the problems with tuna, as a matter of fact, and how you could have al the taste you love without the consequences. How many sandwiches does this recipe make ? The yield is a really good question and it depends on how you pack your sandwiches. We often make wraps, which hold more that two slices of bread, so its hard to say. Guessing, I’d estimate 8-10, but I bet 12 is possible if you put a lot of other items in the sandwich. Hope this helps! What can i use instead of celery? Hi Lisbeth! Great question. I would try chopping up some parsley, a seeded cucumber or even an apple. Please let us know how it turns out. I just made this and ate it on some wheat crackers. It was magic to my taste buds. I live in Jamaica where some vegan ingredients are sometimes hard to find. This one was perfect!!! I make Chickpea salad alllll the time. I’ve never tried it with carrots – I usually use cucumber – but I will try it this way next time. Yum! Hello! Really glad I found this recipe!! And your blog! Totally going to try it! Just wondering if I were to make it without the mayo would it be okay after a few hours at room temperature (29 degrees Celsius ) thank you!! Hi Hannah, well we are really happy that you found this recipe and our blog, too! If you make this recipe with a vegan mayonnaise such as Just Mayo, or Veganaise, then it will absolutely be fine for several hours. Without any mayonnaise like that at all I am sure it would be fine, too. The problem with a regular mayonnaise, of course, is that it has egg in it and you have to be careful about not refrigerating foods made with that. Does this answer your question? Although regular mayonnaise contains egg, unless it is homemade it has been pasteurized and has a low enough ph that it does not foster the growth of bacteria, despite rumors to the contrary. It doesn’t spoil quickly at all! So don’t worry about it- unless your other ingredients are on the edge, the mayo will not be the culprit in a biological fiasco. Yes, that is correct about commercially prepared mayonnaise, but it still needs to be kept at refrigerator temperatures. Under those conditions it is fine for weeks and weeks. Unrefrigerated for hours and hours in a sandwich, on the other hand, you are taking a certain risk. Which is the situation Hannah was asking about. But from our point of view, making it vegan (no eggs) avoids the issue altogether. A win all around. Thanks Heidy! You’re so sweet to let us know 😄. It’s a regular player in our house too! By the way, we have another “Better Than…” recipe coming up very soon, so keep your eyes open (or sign up for emails so you will know immediately 😉). I like the idea of vegan tuna, but specifically have an issue with this particular vegan tuna recipe. It’s missing, well, the tuna essence of a typical tuna sandwich. Where’s the seafood replica? 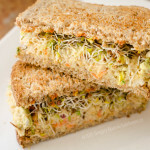 This could very well be called a vegan chicken sandwich or vegan egg salad sandwich as well since it could visually pass for those sandwiches too. I’m all for a kinder sandwich, but I’m not loving the misleading recipe title. Thanks for being in touch and for your comment. Your point is a good one – but we aren’t trying to replicate a taste as much as a type of food, a function if you will. For non-vegans a tuna sandwich is that quick and easy “go-to” for lunches at school and work. Its inexpensive, easy to make, and flavorful. That is our approach with this recipe. Does that make more sense? Now, if you want to make it a little more “fish” in it’s taste then consider adding a little dried wakame. We have done that occasionally and you may find that it adds that quality that you are looking for. I’ve been a vegetarian for almost 30 years. As we encourage people to try alternative products familiar names are used for context. The stores and recipe sites are full of these. Beefless stew, meatless buffalo wings, black bean burgers to name a few. Its not to replicate a certain flavor so you still feel like you’re eating beef or fish. Its using something else with different flavors, textures. While I get your point you can say the same thing if it was called a vegan chicken salad sandwich. It’s not about the name. Hi, if you really want a fishy flavour, try adding kelp powder, be careful to add it gradually as it seems to get very strong all of a sudden, no taste and then bam fishy overload!! Hey, do you think you could upload the nutrition facts for This recipe? Hi Nicki, thats something that we are working on for our recipes (sorry we don’t have it done, yet…). But I can give you this estimate: the entire recipe is approximately 1200 calories, 55g fat, 125g carb, 37g protein. You should be able to get 8 1/2cup servings from a batch. These numbers are very rough and should be taken as guidelines. Hope this helps! Hi! This sounds like a great recipe! We are new to vegan recipes and don’t have any vegan mayo around. What else could be added instead?? Thank you!! We were just discussing this the other day, though and it was suggested to try avocado. Not sure how well that would work though and we haven’t tried it yet. But I did search a little bit and found these recipes for making your own! The interesting thing about the second one is that it uses “aquafaba” as a primary ingredient. Since you are new to vegan recipes this may be an unfamiliar name. Its the liquid that chickpeas are canned in (yes, seriously, LOL). If you keep it when you drain the chickpeas (rather than sending it down the drain) you can use it in a similar manner to egg whites. Kind of wild, but it actually works! Its a very popular thing right now. We always make our chickpeas from dry so it doesn’t work quite the same. So nice to hear that you are giving our recipe a try. Are you just starting out as vegans? Please let us know if we can be any help! Hi Michele, we are so happy that you gave it a try! If its helping you to say “no” to meat – thats even better! 🙂 We love to hear that. Hope you have a chance to try some of our other meals on the blog – please let us know! If you use normal mayo, will it still last a week if kept in the fridge? Hi Alison, really not sure about that, since we don’t recommend using “normal” mayo. But, pre-vegan, we wouldn’t keep something around that long. I make “miracle whip” but using silken tofu, apple cider vinegar, salt, mustard and stevia together in the high speed blender. It’s wonderful stuff. Goes great with your better than tuna salad! If you do, please let us know how it turns out. Thanks for the reply! We made it last night and added a generous squirt of lemon juice, and some fresh dill. I really liked it! My husband wasn’t so sure – I think it might need an extra kick for him, so we’ll play with the recipe some more and maybe try some mustard in there next time. 🙂 Thanks for sharing this though, it’s definitely going to be a lunch staple for me. It’s funny you mention yogurt. We made the recipe last night and one of my first thoughts was to change the mayo to yogurt! 🙂 I think it would work well. I never, ever ate chickpeas until I starts eating plant based food. Now, I use them weekly. I love this recipe. A perfect replacement for tuna. I use my mini food chopper to “smash” the chickpeas, but a few pulses does the trick. Try it, you’ll love it. So glad you like the recipe. It is a great quick and portable meal and it is a household staple here. Thanks for the tip about the chopper! Great idea. Found this recipe on Pinterest and so happy that I did. Made it for last nights dinner and could barely wait to have it again for lunch today. I added a little sweet relish and mustard to mine and added a tomato to my lunch sandwich today paired w a side of steamed broccoli and super sweet strawberries. Yum! I am very pleased and the best part is I don’t feel guilty and kind of gross thinking about how I just ate a fish lol. Will definitely be using your site now to make more goodies. Always looking for a simple and delicious vegan recipe to keep me on the right track. Much appreciation. Hi Stephani! 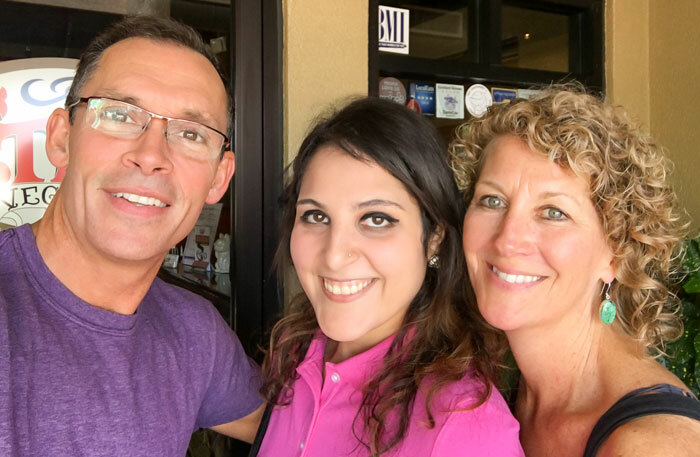 we are so glad you found us and enjoyed the recipe. I’m actually making a batch right now! It is a great thing to have on hand for a quick and portable meal. Please let us know if you try our other recipes. We always welcome the feedback and love how people tweak the recipes based on what they like and have on hand. Found this one on Pinterest and am I glad I did! I made the recipe directed at first and it lasted (upside in a tightly hand sealed mason jar in the fridge) for a few weeks. I was a bit weary because nothing should last that long, but it did. Thats great that your Mom loved it and that you made tweaks to suit your taste. We love it when people make the recipes “their own”. We’re not surprised that it stayed good that long in the fridge but we ARE surprised that it stuck around that long. A few days is about the longest we have ever managed to keep it around, LOL! LOL, that’s funny. We’ve never tasted a cabbage patch baby so we can’t really comment. However, our aim wasn’t to make it taste like tuna, rather we were making something that would take the place of tuna salad in people’s lives. So, easy to make, yummy as a sandwich or on greens – that sort of thing. 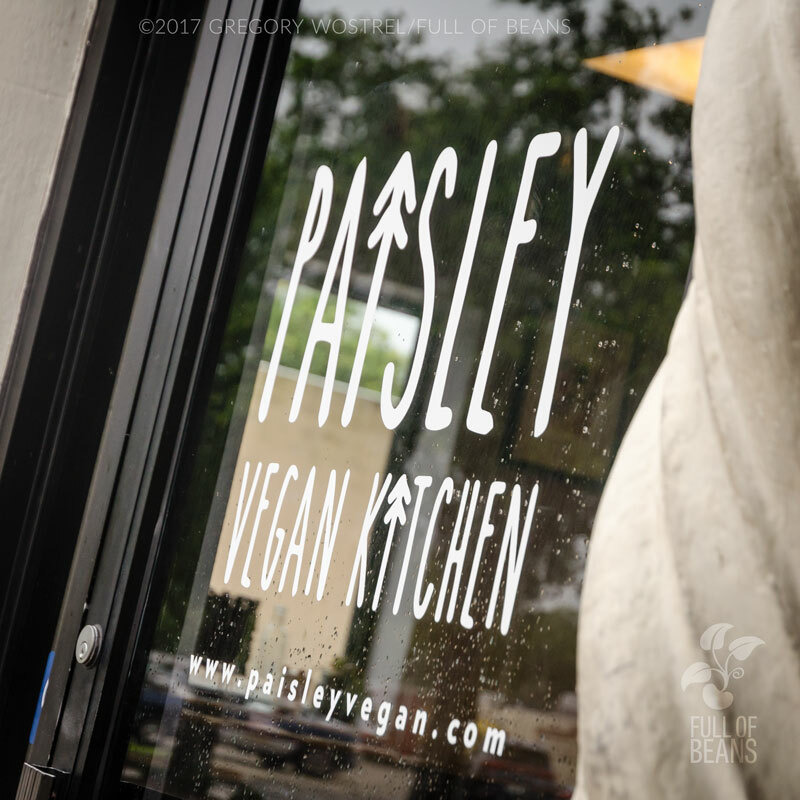 Plus, cruelty-free, dairy-free, and healthy! “Better Than Tuna”! Those sound like excellent tasty additions. Nice! Thank you so much for sharing this recipe. I just made it and it is delicious!! Love this. I’ve been looking for something different to put in my veggie wraps. Thanks so much. Better Than Tuna in a wrap is one of our regulars too! We like to add greens, banana pepper rings, and slices of avocado. What do YOU put in your veggie wraps? Yes, we’ve done that with nori, too! Thanks for letting us know that you have been enjoying Better Than Tuna (it really is, don’t you think?) PLUS, it’s awesome that you have started eating plant-based! Yay! What The Health is really a good one for getting the perspective on what the “Standard American Diet” is doing to us. Have you seen Cowspiracy, yet? It was done several years ago by the same team that did WTH and is more focused on the environmental impact of animal agriculture. VERY eye-opening! You’re welcome, thanks for trying it and we’re so glad you like it. Thanks for letting us know – we’re so delighted that you enjoy Better Than Tuna (and isn’t it so much better?). BTW, you have a lovely website! Great job! Just found your website…love it! I’ve been searching for a recipe – maybe you or your readers can help. I used to stop at a Greek restaurant when traveling. They served a Greek version of spaghetti which was wonderful! All of a sudden the restaurant was gone! I’ve been trying ever since to make it for myself. Unsuccessfully! You’re welcome! It really is easy and ideal for lunches. Give it a try! 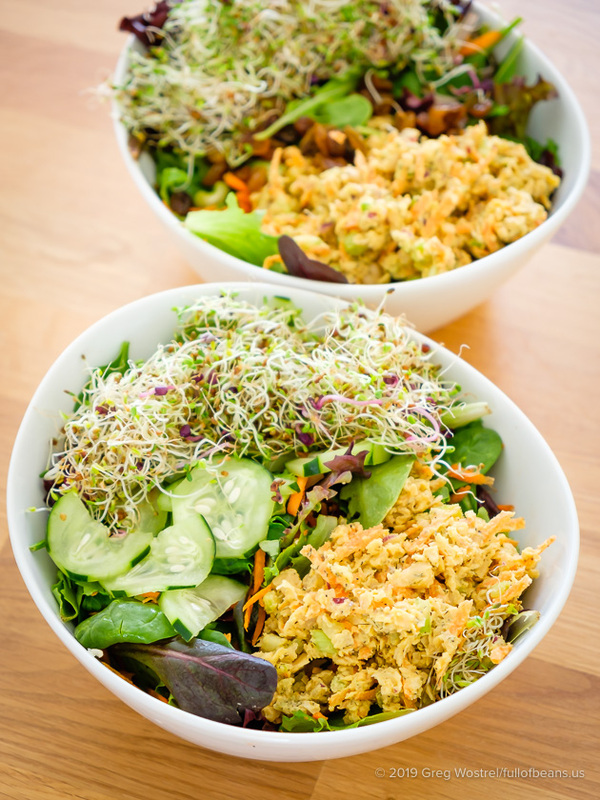 You know, if you are packing lunches you might also like our Tofu Dill Salad – check it out! This Better than Tuna salad is regular staple in my kitchen these days. It’s so versatile and a great change from the hummus chickpea delivery system! LoVe it! Thanks for your awesome recipes Greg and Georgia! This was great! I made it for my 1.5 yr old and I. I subbed onion powder for the onions and spread it on wheat toast. Looking forward to leftovers! Hi Juliette! I’m so glad you enjoyed it. Thank you so much for letting us know! Just made this and it is sooo good! I ended up using about 1/2 cup of Just Mayo and a couple squirts of mustard. Will be eating this frequently! Thanks for the recipe! Thank you, Jenny! Greg uses about 1/3 cup of Just Mayo because he likes it a little creamier too. I like the mustard idea! I’m always psyched when people tweak the recipes to work for them based on what they like or what is on hand. Thats great information, thanks for sharing it! Our daughter has used Weight Watchers and it was very helpful. I made this sandwich it is fantastic! I made a few additions in the vegan mayonnaise I added pickle juice. I also added grapes to the sandwich and a bit of cole slaw. Fantastic! Oh, that sounds yummy! 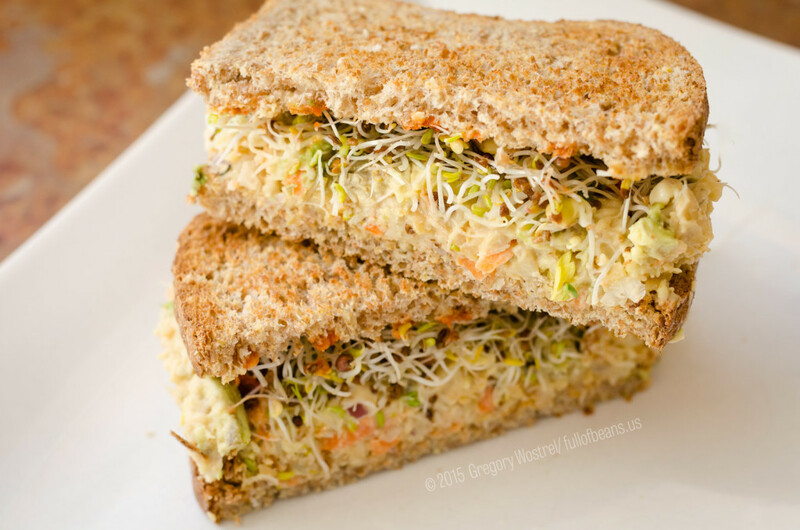 We love cole slaw and it often shows up in sandwiches of all kinds. Thanks for sharing and so glad you enjoy “Better Than Tuna”. I’m not vegetarian or vegan, but I am pregnant and canned tuna is one of the things on a pregnant ladies “maybe you should not” list. Thank you for this tasty looking ‘tuna sandwich’ substitute! I always have a couple cans of chickpeas on hand, as well as some frozen that I cooked from dried. I’ll be trying this tomorrow! I’ve never been a huge fan of tuna salad but came across this looking for a vegan chicken salad recipe, and absolutely love it on my first try. My question, and biggest reason that would keep me from making this again, is about how to prepare the chickpeas. I know that might sound like a weird question. I find that when I drain and rinse canned chickpeas that their skin sloughs off. Being pretty OCD I spend a ton of time separating this. Do you have a suggestion? I don’t know if there’s a recommended type of chickpea to use or if this is something you ignore. Thanks in advance. Ohhh, the chickpea skins… Don’t fret about those at all. If you get a bunch that come loose just scoop them up and toss them. Pop the rest in your bowl and keep going. The skin has some fiber, probably some other good-for-you qualities, and so on but we don’t bother skinning all the chickpeas. Now, for hummus, on the other hand, it does make a small difference in the smoothness of it – but it really takes a lot of time and we don’t bother with that either. In our recipe we just give it plenty of blending time. So glad that you enjoy Better Than Tuna. Its a simple, delicious, easy to customize recipe. I recently saw a can of skinless chickpeas. I think they were at trader Joe’s. Really liked this “better than tuna” salad; we added a few tsp. of capers, some onion powder (diced or finely chopped onions would work, too), garlic powder, dill, splash of lemon juice and a bit of cracked pepper. 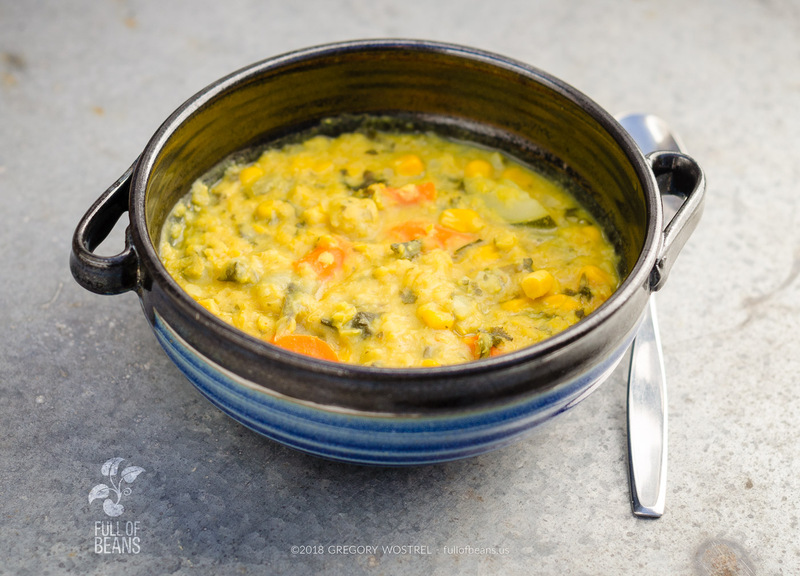 Our family enjoyed this tasty cruelty free recipe! Those are nice additions to the basic recipe. We have been adding dill quite often lately, too. Its very tasty! So excited to make it and love your blog, so nourishing! I’d love to know what bread is with it or ones you recommend? Love this! 2nd time making and, once again, did not disappoint! I put on a (big) bed of arugula with avocado and a little sriracha. My hubby eats it as a sando…so good!! Yummy! Thats a great combo idea. We love adding it to a big salad, too. SO glad you, and the hubby, are enjoying it! I added 2 tsp of curry powder and 1/4 cup of golden raisins. Delish! Those are delicious choices, Jennifer. Yum! Some good food safety advice- foods that have been cooked, especially with a lot of moisture and low acidity like beans, should not be left out in temps between 40-140F for longer than 4 hours. The food safety concerns are the same as the are for meat, you just may have different bacteria to worry about. Also, leftovers, if stored probably in the fridge, can be eaten for up to 10 days. Please don’t tell people this recipe can be left out for long periods of time. It might be ok, but not worth the risk. Those are good points and we appreciate you mentioning it. We’ll take a look at the post and edit for more clarity there. Solid. I added dill. I pulled out more than half of the skins from the chickpeas. It took a while, but I think it is worth it. Tried this recipe this week and I’m on day two of eating it. This is such an amazing recipe! Healthy, easy, cheap and so so yummy. Thank you so so much! Hey Lisbeth ! I have substituted diced dill pickles and it works well. It keeps that bit of crunchiness and adds some extra dil flavor which I love. I found this recipe last year and I have been making it at least once a month since then. I double the mayo and add about a tablespoon of dill to really give it an extra burst of flavor. Diced dill pickles work as a substitute for celery if you don’t have any on hand. We make it all the time too – its a favorite (and SO fast to make). We’re so glad that you have been enjoying it, thanks for letting us know!